Learn more about OnServiceMD Scheduling and OnServiceMD Clinicals now. Admission assignments, morning distribution, PCP communication, census management, standardized hand-offs, texting and pager integration along with integration of a game-changing scheduling platform. This is your solution for provider scheduling and workflow enhancement. Use OnServiceMD Scheduling for complex, multi-site programs. Let users get their schedule from their mobile device, import into their calendar client, and submit requests off on the go. Unleash the full capabilities of OnServiceMD by implementing both the Scheduling and Clinical solutions. 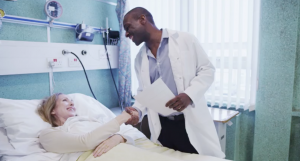 Optimize hospitalist workflow with OnServiceMD Clinicals. Integrate PCP communications, automate AM patient distribution, standardize hand-offs, track service metrics and more. Physician, PA, NP, housestaff, and student shifts – OnServiceMD has you covered. Whether you have 5 or 50 patients to hand-off in the morning, OnServiceMD ensures balanced and transparent distribution. Internal communication for hand-offs or secure communication with outpatient providers – OnServiceMD keeps everyone informed. OnServiceMD Scheduling and Clinicals were both designed with one thing in mind – Hospital Medicine. In the news: OnServiceMD implemented at Beth Israel Deaconess Medical Center Multi-Site Hospital Medicine Program. OnServiceMD Is Within Your Reach! Implement OnServiceMD for a fraction of the cost of scheduling platforms from other vendors; the clinical and scheduling modules combined are cheaper than competing scheduling-only solutions.